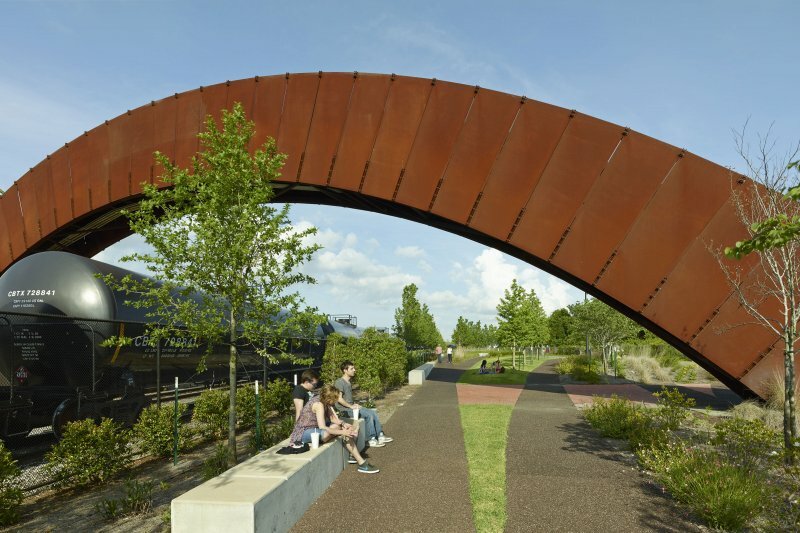 Part of a larger master plan, Crescent Park was designed to reconnect people with the river and transform the remnants of the city’s industrial and maritime past into a verdant, accessible, community asset. It asked a pivotal question: how can we engage the public to envision a better future for New Orleans? 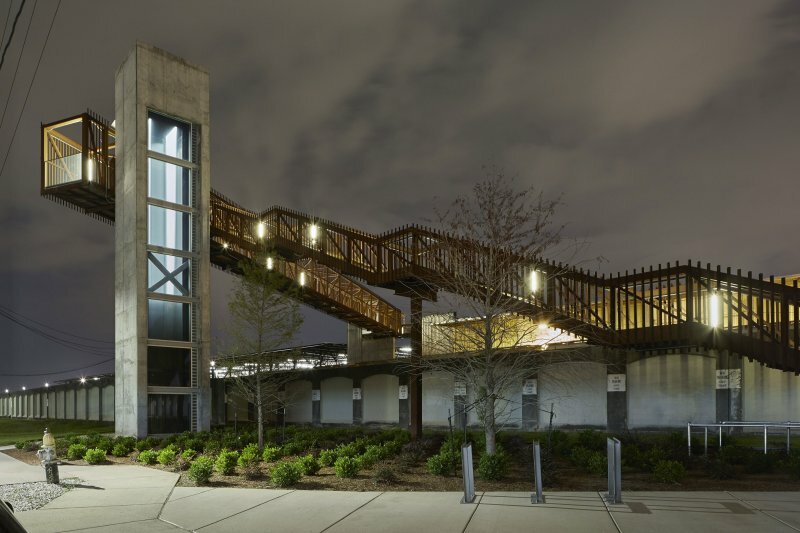 Developed in 2006 immediately following Hurricane Katrina, the original Reinventing the Crescent Development plan proposed the transformation of 6.2 miles of languishing urban waterfront into a redefined social gathering space. 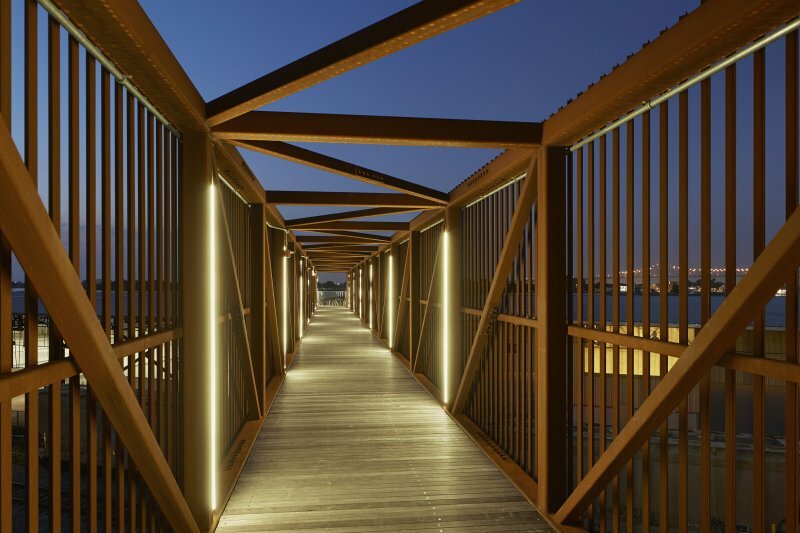 Crescent Park was the first phase of this ambitious undertaking, designed in collaboration with landscape architects, Hargreaves Associates, and architectural partners Adjaye Associates and Michael Maltzan Architecture. 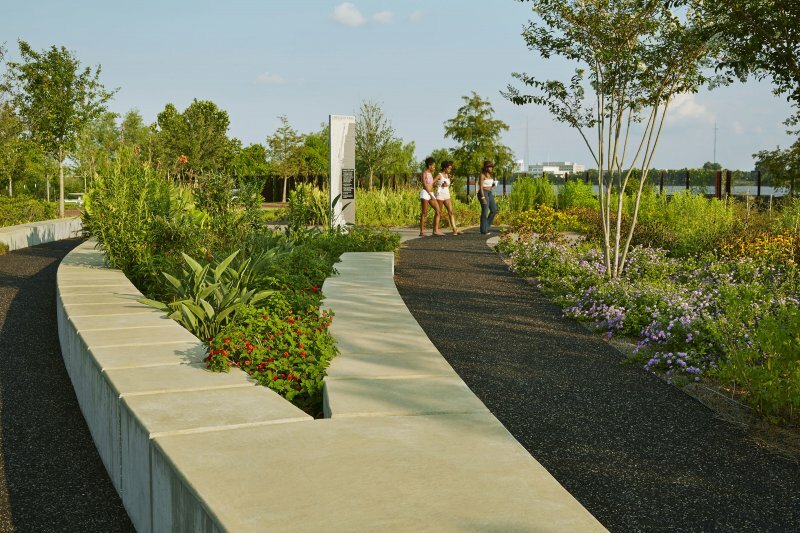 Likely the firm’s most well known public project, the 1.4-mile linear park includes 20 acres of indigenous landscaping, along with a network of paths suitable for walking, jogging and biking intended for public use. William Gilchrist, then-director of Place-Based Planning for the City of New Orleans called the plan “an innovative and radical approach to readdressing the levee on the Mississippi,” confident that the project “will transform the visual and physical connection of the city to the river.” Key to this transformation were several public forums and stakeholder meetings designed to engage the citizens of New Orleans. True planning starts and ends with the community in mind. By doing this, we can ensure that members of the community will be more fully invested in the project and the future redevelopment of New Orleans. Participants in the meetings recalled that much of the public interest in the project came from a desire to rebuild a just and accessible city in the aftermath of Hurricane Katrina. Transparency became of critical importance following the traumatic events of Hurricane Katrina, and the uncertainy that followed made proposals for development tenuous. The team worked diligently to allow community members to offer input through every stage of the process, and with every public presentation and work session, a documentation of the media presented, and questions asked and answered, were posted to a living website. In lieu of new construction, a conscious decision was made to build upon the layers of history and character previously imbued in the site. One can grasp the pieces that once made up a thriving maritime corridor. The project has been an enduring success. 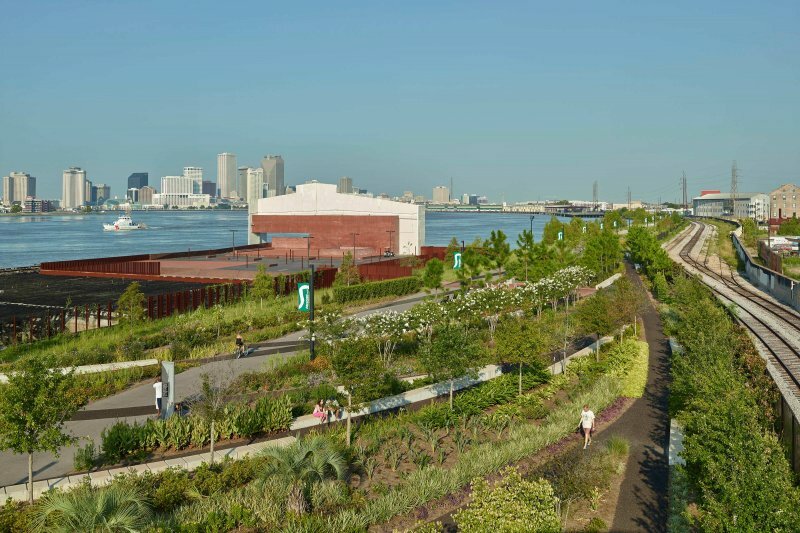 Although the idea was birthed before the Hurricane, the project has come to represent a conscious choice on the part of civic leaders about what the future of New Orleans might entail. 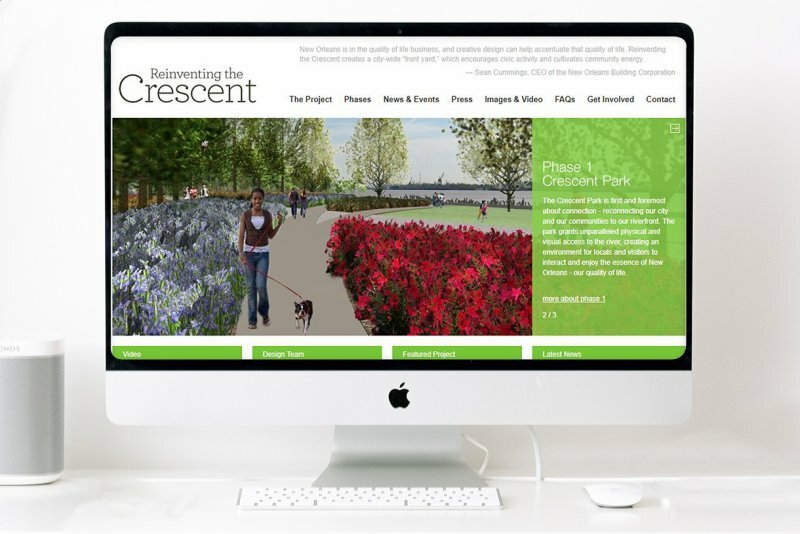 The name is no small nod to this notion: “Reinventing the Crescent.” As such, it outlines a vision for urban development based on not oil and gas or maritime industries, but of civic engagement and community. The adaptive reuse of two industrial wharves is integral to this notion. A nod to the industrial past, the repurposing of both is a modern reinterpretation. 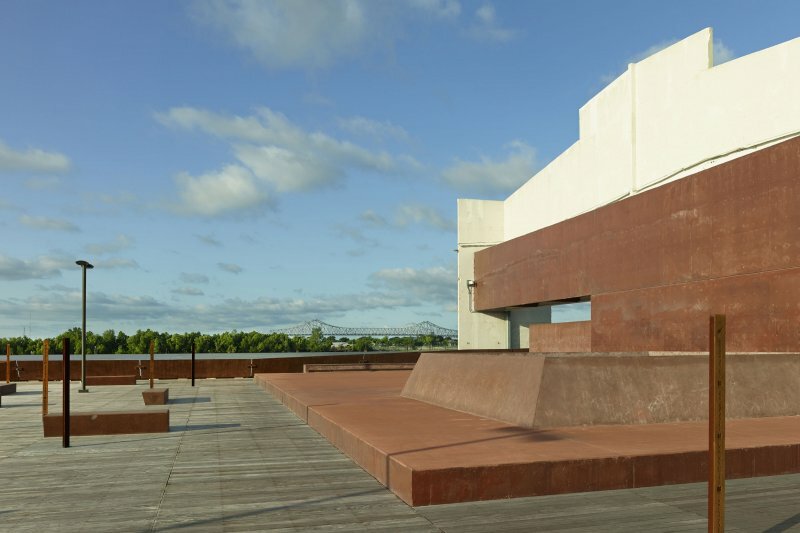 In place of shipping and receiving goods, the two spaces provide opportunities for engagement and interaction, the exchange of ideas and conversation, and play host to a wealth of community gatherings, festivals, and a variety of artistic exhibitions that take place throughout the year.